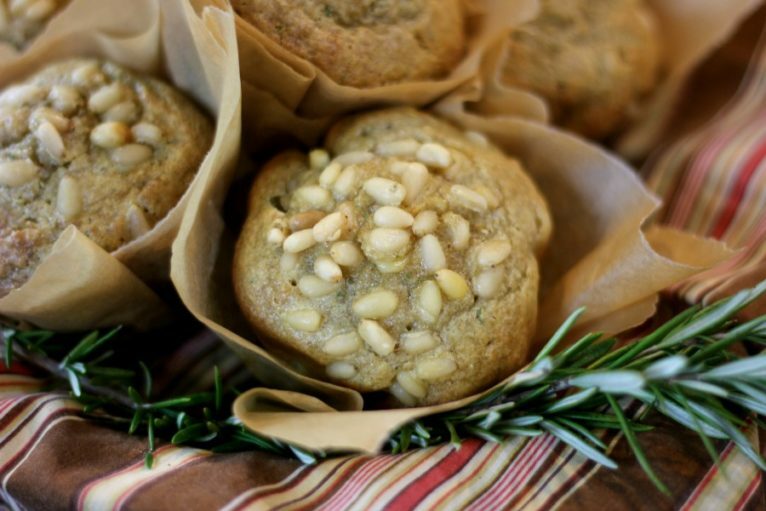 The flavor profile of these Rosemary-Pine Nut Muffins is sooo special. 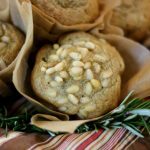 There’s a lot going on; and all of the flavors go beautifully together: pine nuts, rosemary, vanilla, cocoa butter~ so yum and lovely!! Pine nuts! I recommend Trader Joe’s for sourcing if you have one nearby. They have the best price. Cocoa butter. Lovely fat!! 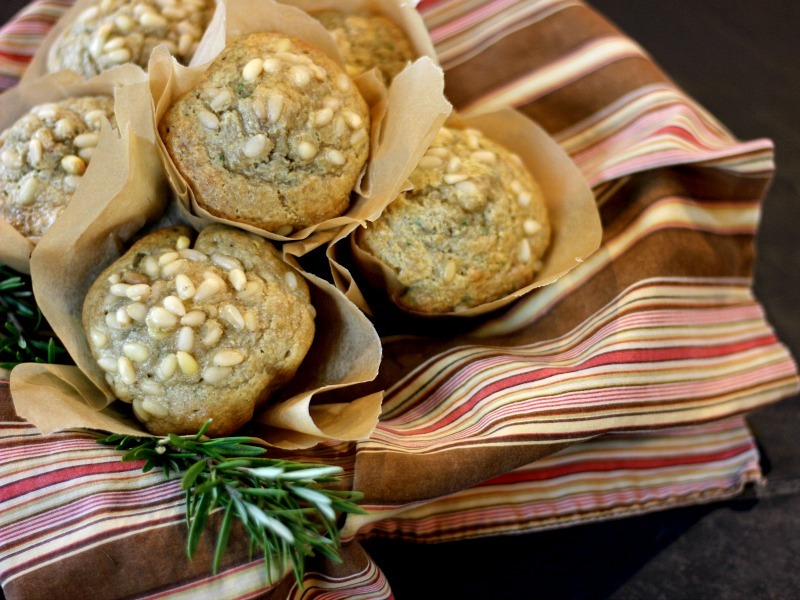 This ingredient adds a great texture and flavor nuance to the muffins. Serve these muffins with dinner. They’re savory. 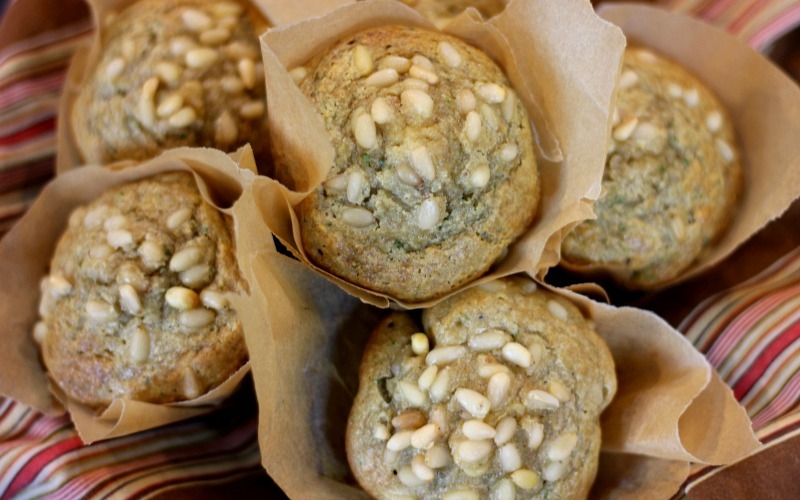 Serve these muffins for breakfast. They’re sweet, yet herbal, with the rich, evergreen, seedy flavor of pine nuts. Preheat oven to 325 degrees Fahrenheit. Fill muffin tins with liners. Combine the following ingredients in a blender: pine nuts, eggs, honey, melted cocoa butter, rosemary and vanilla. Blend until smooth, about 30 seconds. Sift dry ingredients into a medium-large sized bowl: cassava flour, baking soda and sea salt. Add puree and fold ingredients together until mixed. Don't over-mix. Bake muffins for 20 minutes or until toothpick inserted into center comes out clean or with dry crumbs adhering. *Soak 1-1/2 cups raw pine nuts in water to cover and 1-1/2 tsp. sea salt (stir to dissolve), for a minimum of 2 hours. Then rinse and measure out 1-1/2 cups; (you'll have a bit leftover from the original seeds measured). These are lovely! So many beautiful components, love all of that cocoa butter and all of the savory goodness. I have never cooked with cocoa butter! These sound and look so amazing! Thank you, love! Cocoa butter is so worth having in the pantry. I looove it! I think these would be really tasty with a ham on Mother’s Day! 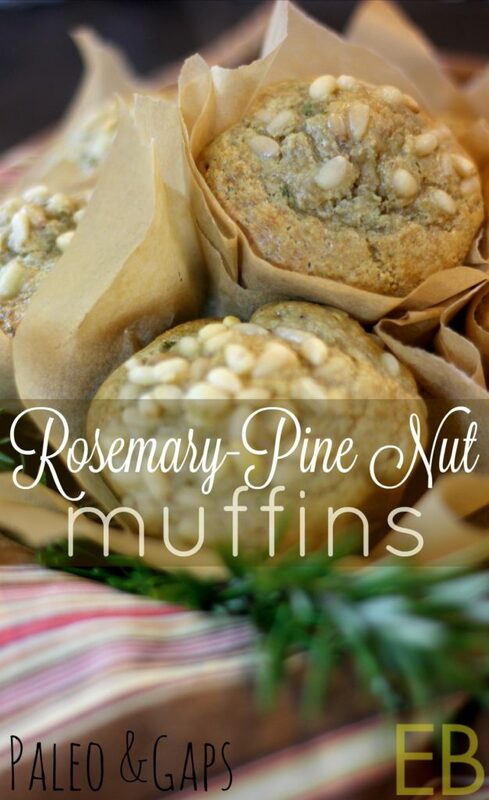 I love rosemary and pine nuts together. These sound delicious! What a wonderful combination of all the yummy ingredients! Love that it’s with cocoa butter. Yum! Megan, this looks wonderful !!! Hi Gail, yes, you can! I haven’t made that substitution, so I can’t be sure on the quantity. But you can try it 1:1 to start and see how they turn out. My instinct is that you may need to pull back a bit on the almond flour because it’s not as moist as the flax: so maybe 1/4 cup almond flour. Best!